The Keto Box Review: Worth Your Money? Snack box subscriptions are super popular right now, so it shouldn't be a surprise that keto snack boxes are popping up as well. For anyone on the keto diet, you already know that variety and availability of keto-friendly foods can be an issue! That's why I joined The Keto box (among others), to test out and see if they are worth your money. What's In The Keto Box? I was pleasantly surprised with my first keto box. Though I didn't “like” everything in the box, at least it was all pretty creative, which is basically what I was hoping for. My favorite thing was the coconut chips. They were crunchy, filling, and best of all there was a bunch of them in the bag. That means they were satiating, and I could snack on a few, then leave them alone instead of destroying a whole bag like most of do with potato chips. My least favorite thing was the roasted & salted pecans. Normally I like pecans, but something about the seasoning really brought out the astringency and bitterness. They were overly salty as well. I couldn't finish the bag. A very tasty surprise was the infused cucumber water. Normally, this is never something I'd waste money on, but it was very thirst quenching so I pretty much downed the bottle instantly. Normally costing about $1.82 on Amazon, this is something I might actually buy in the future for a small treat. Some simple keto-friendly drinks. The teas were unique and tasty, but I like my coffee black. 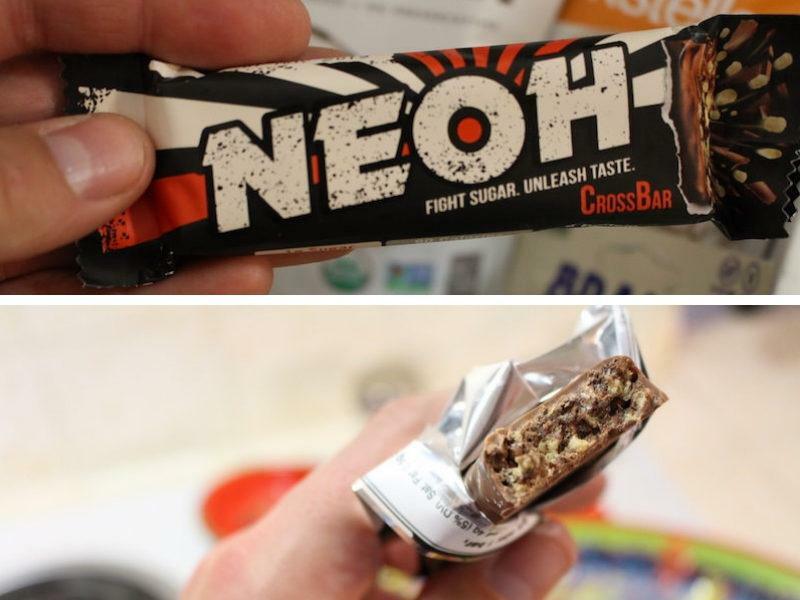 All of the bars were tasty, but even keto-friendly bars can add up carbs if you eat too many. With 15-20 carbs per bar on average, I'd only eat one per day if you want to stay under your daily carb allowance. What About Past & Future Shipments? The keto box does show you a quick preview of what was previous sent. However, I think they could improve their signup process by being more transparent about what they send. Sure, surprises are fun. But from the photo below, I can't really tell what was sent in the past, and they don't show you what will be sent in the future. With meal kits, you can really get a comprehensive view of the menu, which is fun to tweak and look forward to. With The Keto Box, it's going to be a surprise each money! How Does It Compare To Other Boxes? I haven't tried many other snack boxes, but I did try The Keto Box, and liked it as well. It's very hard to compare because I liked snacks from both boxes, but my initial impression is that I liked the food from this box better, and it lasted longer. 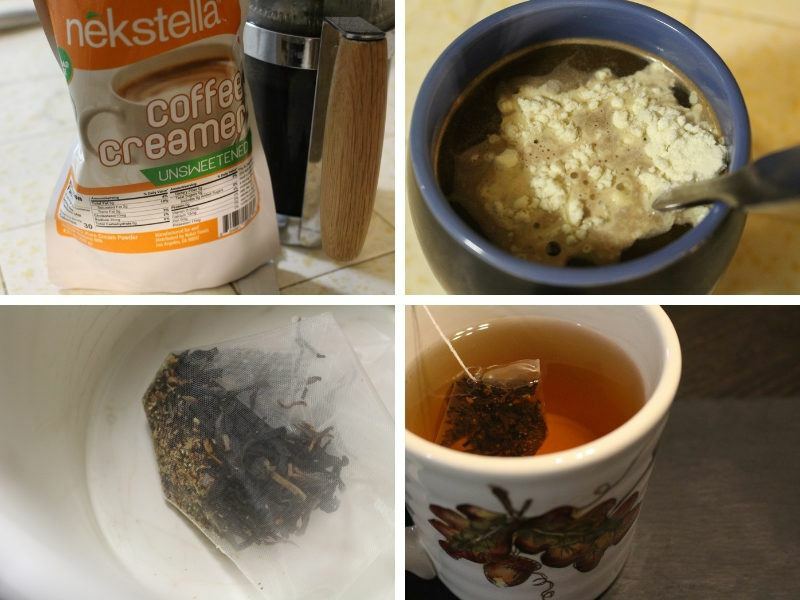 I'm still using that coffee creamer, and those pecans lasted forever! 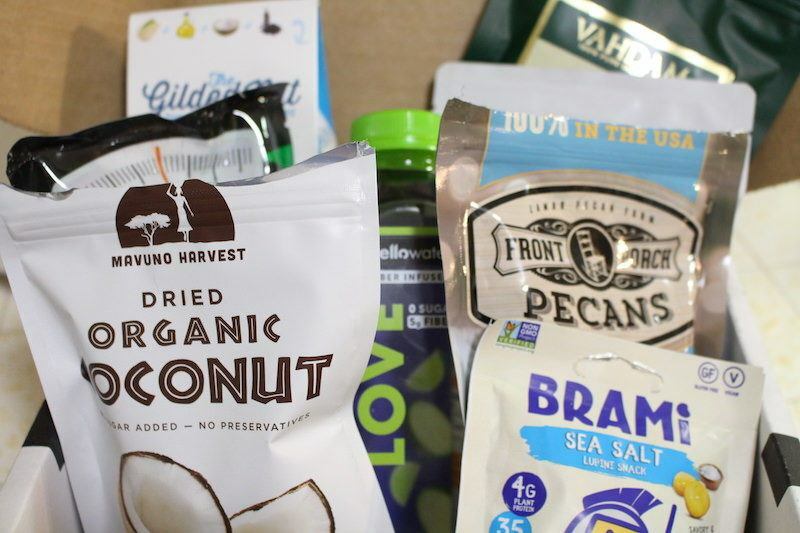 I've done a full list of keto subscription boxes you can sort through to find another box you might like, but My Keto is an solid choice to start with. You might also like these keto meal delivery services! Of them, Factor 75 is my favorite so far. Also, Platejoy is a meal planning service I use. They don't delivery full meals for you, but they do use Instacart to send you groceries, then you can make the meals (B/L/D + snacks) yourself. Can This Help You Reach Your Keto Goals? I love keto. It was easy for me to do, since I love meat and cheese. It was easy to give up rice, pasta, and bread. The habit was hard to break, but I don't miss the food at all. My girlfriend on the other hand talks about rice and bread almost daily. She's not fully keto, but she does low-carb. And you know what? She was always snacking on stuff in The Keto Box (MY keto box LOL). She wasn't a fan of the stuff I liked, thankfully (the coconut chips, salt and pepper pistachios), but she loves the bars and the keto rice. The reason I mention this, is that this box kept low-carb eating interesting for her. She's not a huge meat eater, and is lactose intolerant, so it's hard to find the perfect keto food for her! So The Keto Box can help you in two ways. One, for an experienced ketogenic master, it can help you mix things up, and discover new foods & drinks you wouldn't have considered buying before. Secondly, it can be a fun introduction to the keto diet for someone who's on the fence or just started. That being said – don't demolish the box in a day. Many of the foods or drinks of 10-20 carbs per serving, so they should be worked into a larger plan for day, week, or month. Will I Keep The Keto Box Membership? Yes. Whether you're on keto for weight loss, or keto for gym gains, The Keto Box can help keep you in ketosis. Normally, I just try out these services like meal delivery, meal kits, or other subscription boxes just to do the review, and then I move on to the next thing. However, The Keto Box really hit a nerve with me – I didn't realize how boring my keto diet had become. Don't get me wrong – I love steak, cheese, and vegetables. I'm sticking with keto because those foods are my jam. However, I like that they do the hard work for me to find keto-friendly snacks, and they just send them to my house once a month. It's enough fun to help me branch out and try new things, but also just a once-in-a-while treat that won't knock me out of ketosis. Keto box was worth my money, so I highly recommend it! Join The Keto Box Here! 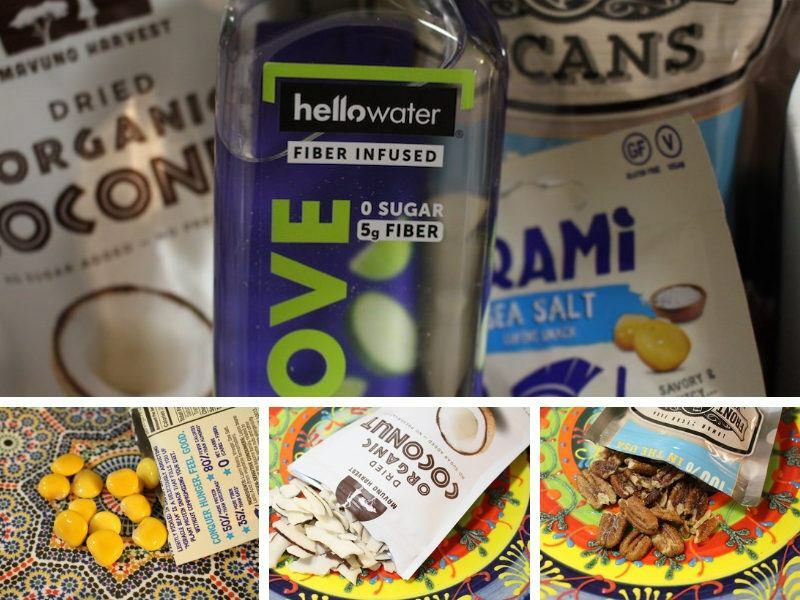 You are here: Home / Subscription Boxes / The Keto Box Review: Worth Your Money?